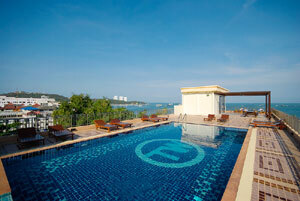 Pattaya Hotels - What Kind of Hotels in Pattaya Are You Looking For? Since the city of Pattaya is one of major tourist places in Thailand, there is a wide range of hotels available, from 5 star hotels to low budget hotels. However, different visitors have different criteria to choose a hotel to stay, so you should answer yourself that which sort of hotels is suitable to you. Do your priority is to enjoy nightlife of Pattaya? Do you prefer to enjoy a busy beach, or quiet beach? Do you prefer to stay at a place that you can shop easily? Are you looking for cheap hotels? And so on. Once you know that it will not be difficult for you to find a hotel that suits your need. The hotels offering very interesting location in Pattaya will be hotels from Pattaya Beach Road because you can go to enjoy Pattaya beach in a minute, and can go to popular places as Pattaya Walking Street, Central Beach Festivals, Royal Garden Plaza, Mike Shopping Mall, and Beach Stall Market in the evening. So, hotels in this area not only are a very good for relaxation but also are good for shopaholic. However, the price is also higher than hotels offering similar services from other areas in Pattaya. If you are looking for a hotel able to let you enjoy bars and night clubs in Pattaya easily, you should find a hotel near Pattaya Walking Street. This is because the Walking Street is a major place for nightlife entertainment. Another good option for simply enjoying night activities in Pattaya is hotels in Soi Buakhao as a wide range of nightclubs and restaurants is provided inside of the Soi Buakhao, which is a street in between Pattaya 2nd and 3rd Road that connects from Central Pattaya Road to South Pattaya Road. In the case that you like to enjoy non-noisy atmosphere, hotels in Naklua will suit you most, because there are not many night activities in Naklau. However, there are also the quiet beach as Wong Amat Beach for you to in love with. Another good thing is that Naklua is situated near north part of Pattaya, so it is also easy to come to the central of Pattaya city for anything you need. Pattaya Cliff area also needs to be introduced for a quiet location to stay. Hotels in the cliff area can offer spectacular view that the other places in Pattaya cannot offer. However, it is a bit far away from the city and the price is also higher than similar standard hotels. * Note that from May to September is the low season for travelling Pattaya. For this reason, almost all of the hotels in Pattaya are usually offered with lower price than the peak season. In the case of low budget hotels, you can find them almost anywhere in Pattaya , but the most popular ones are around Pattaya 2nd road because it is not difficult to enjoy the beach and Pattaya nightlife. The range of low budget hotel is from 500 baht to 1,000 baht. Although the quality of lowest price rooms is sometimes not that good, as it is just a simple room, a number of visitors still choose to book this kind of rooms. Please note that the very low budget room as the 500 baht room is usually a non air-condition room, or a fan room in other words. On the other hand, low budget rooms that the price is about 1,000 are much better in the case of facilities provided. Also if you don’t need to stay near beach and the places for nightlife, the 3rd road and Sukhumvit road will be suitable for you, and the room price is usually cheaper than major places. Note that there are good rate hotels from agoda. Another one is great for comparing Pattaya room rate available from various agencies online. Daimond City Place is one of greatest budget accommodations in Pattaya City. It can deliver convenience and comfort to customers. Seaside Guesthouse offers a room with pretty low rate. Its location is close to the beach and room quality is fine. Malee Jomtien Room Service is an interesting budget accommodation which is clean and not expensive in Jomtien area. Baan Khun Poh could be seen as a clean and inexpensive serviced apartment for those who have their own private car. 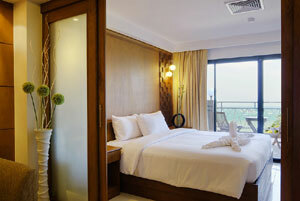 Tune Hotel Pattaya delivers a great location, cleanliness, and international stardard service with reachable price.